To honor the role military children play in the country, April has been designated as the Month of the Military Child. The whole premise of this celebration is to emphasize the bravery, resilience, and independence these kids display while their parents are deployed overseas. This special month-long occasion began in 1986, with Secretary of Defense Casper W. Weinberger coming up with the idea that military children deserve recognition as much as their parents do. He was impressed with how these young girls and boys are able to cope well with difficult situations, such as the constant relocations and separations during their parents’ deployment. Seeing this, Weinberger thought it was best to acknowledge them by creating the event. Every April, the country provides a number of special programs to commemorate military families for their bravery and sacrifices. Ceremonies, parades, seminars, fairs, and contests are held throughout the entire month. For instance, children are given the opportunity to share their experiences as a military child through art or writing, with a chance to win amazing prizes. The celebration also encourages military families to get involved and be more open about their lifestyle as members of the Armed Forces. At present, there are about 1.2 million military children of active-duty U.S. soldiers deployed overseas. 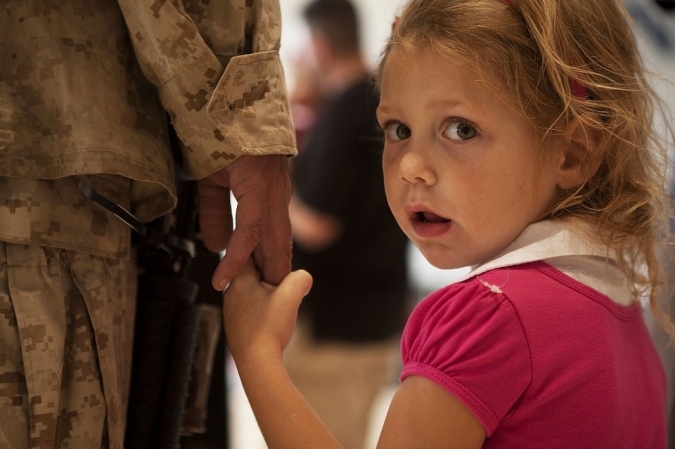 About 2 million military children have one or both their parents deployed since 2001. Military families move to different states or cities almost every two to three years. That makes it three times more often than civilian families. The average military child is likely to transfer schools six to nine times. About 80 percent of them go to public schools. One-third of school-age military children exhibit psychological issues, which often include anxiety, stress, and depression. Expect military children to become military members in the future. They are twice as likely to join the service as their civilian counterparts, according to a study. Unlike kids who are raised by nonmilitary parents, military children go through so many difficulties while their parents are away on duty. Although they have the benefits of getting a good education, healthcare, and even access to early intervention programs, these boys and girls have to grow up on their own. 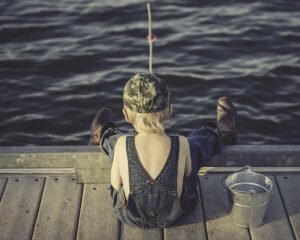 Apart from that, they have to adapt to a new environment whenever their parents relocate due to the demands of their jobs. In spite of everything, the majority of these kids show no signs of giving up. Instead, they continue to support their parents. This just goes to show that just like their mothers and fathers, military children have the fighting spirit in them. This event aims to connect teenaged military children from all over the world. It gives them the chance to talk about important issues that influence their lives as military children in their adolescent years. If you’re not aware, purple is the theme throughout the entire Month of the Military Child, as it signifies all branches of the military (Air Force Blue, Coast Guard Blue, Navy Blue, Army Green, Marine Red). Purple Up encourages the public to wear purple on April 15 in order to honor and appreciate military children. This is a competition where military children are asked to draw anything that represents their lives as a military child. Since prizes include the latest gadgets such as an Apple Mac and iPad, many kids are expected to participate. Host a party for military kids and have their loved ones come over, including their teachers. It’s pretty much like a birthday party – only it’s being celebrated by a group of brave boys and girls. Invite local military personnel and have them share their stories with the children. It’s even better to prepare souvenirs, such as toy planes or sailor hats, for the kids to bring home. This is a great idea for children whose parents are deployed or are assigned in another state or country. You will be setting up different stations where each child can make and personalize a care package that will be sent to their parents. Do you know a military family who needs support? Tell them about these resources. Available 24/7, this support program intends to help military families and children with their problems. They also offer facts and tips on parenting. This resource provides for military families who live near military installations. Military children who become members learn different life skills. One of the best ways to help military children and their parents is by teaming up with us at Veteran Car Donations. Any car of yours, regardless of its age or condition, can be a source of support for them. In return, we will extend our gratitude by rewarding you with a maximized tax deduction among other perks. Just reach out to us at 877-594-5822 or fill out our online donation form. Let us know about your decision to donate, and from that point on, we’ll take care of the rest. It’s as simple as that.